John Oliver: How Is This Not A Thing? [VIDEO] - Joe.My.God. 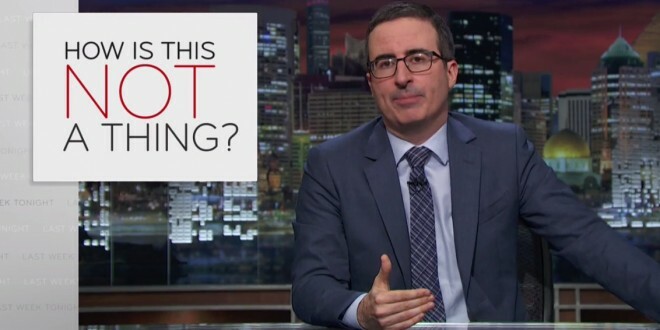 John Oliver runs a regular segment called “How Is This Still a Thing?”, but he’s decided to turn it on its head. So “How Is This Not a Thing?” describes the things that Oliver would like see invented—preferably as soon as possible. Amongst others, Oliver would like Ambien for the part of the day that we have to be awake, bread pants, and a search engine that can make sense of the kinds of questions that your parents ask. How are they not things?